Thanksgiving is a time to be thankful for all of the wonderful things in our lives, including our beloved four-legged friends. 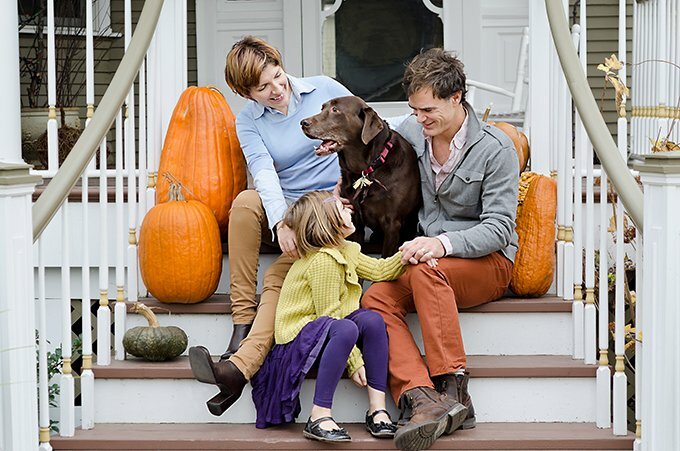 To dog lovers, it makes sense to include your pup in the Thanksgiving festivities. 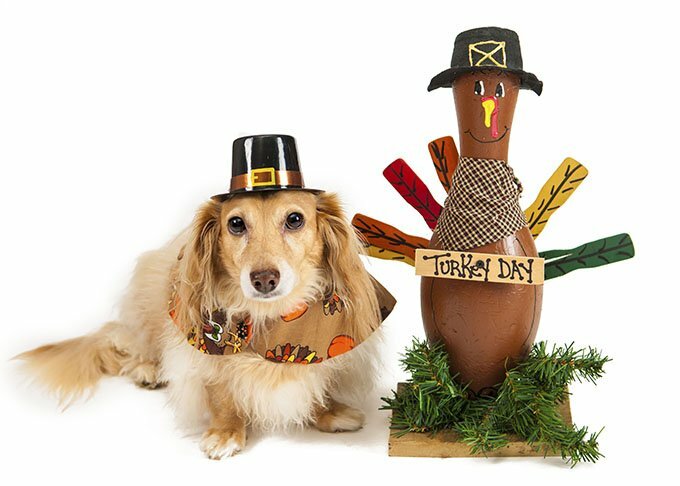 If you are not the one hosting, however, there are things to consider before simply bringing your dog to a Thanksgiving celebration as your plus one. 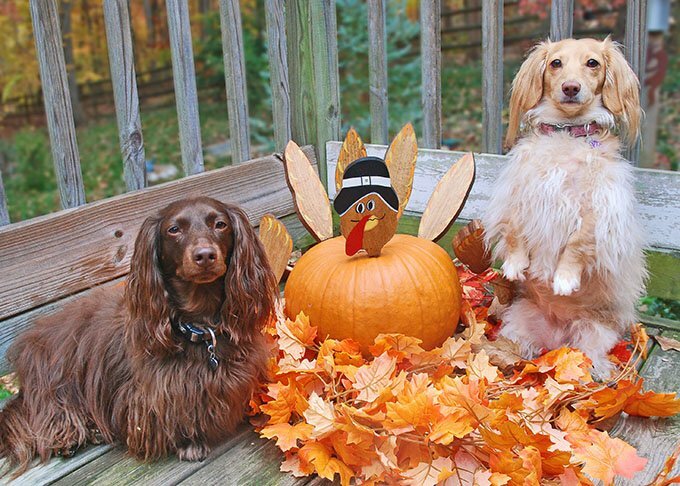 Here are some friendly tips on how to make sure your pup is the best Thanksgiving guest ever. Even if the host of your Thanksgiving absolutely adores your dog, it is important to not simply assume your dog is welcome for Thanksgiving dinner. Hosting any party, especially a Thanksgiving gathering, can be a particularly stressful time for a host. Adding a potentially unpredictable pup to the mix may not be something your host is thankful for. There also may be other dogs coming, and too many pups during a holiday celebration can quickly become a stressful situation for the host and dog owners alike. It is also important to consider other guests who may be allergic or fearful of dogs. Be courteous, and ask your host well in advance if it is okay that you bring your dog to the Thanksgiving celebration. If your host is sincerely okay with you bringing your dog over for Thanksgiving dinner, it is important that your dog doesn’t enter a hectic, loud atmosphere with too much extra energy. All of the different scents of food, new people, and commotion can make for a stressful or anxiety-inducing situation for your dog. Give your dog plenty of exercise and mental stimulation before leaving for dinner. This way, your dog will be more likely to be a mellow and courteous guest. You always want to look (and smell) your best in social settings, and the same should go for your dog. Nobody wants to indulge in a Thanksgiving feast after having a very stinky dog rub all over them. Do your host’s furniture and guests’ hands a favor by grooming your doggo before bringing them over to a dinner party. Whether this means bringing your own baby gate or having certain areas off-limits to your dog, it is important to make sure your dog cannot dig into the feast meant for the humans. If your dog gets into the Thanksgiving food, it is not only embarrassing and rude, but can also potentially be dangerous for your pup. 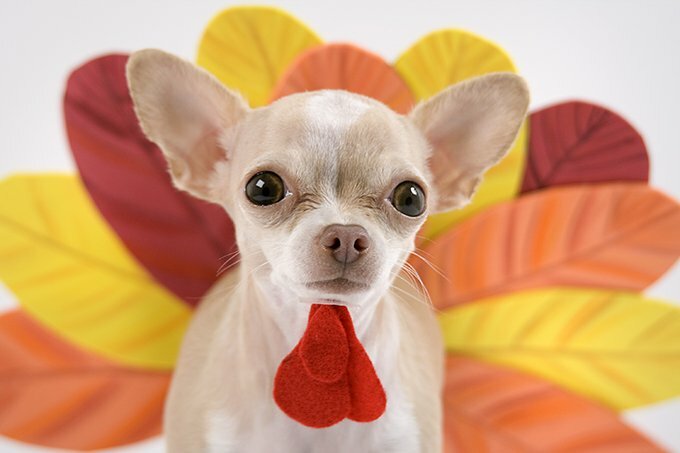 Turkey bones and many of the spices used in Thanksgiving foods can prove harmful or even deadly to your dog. Even the most calm and well-mannered of dogs can become overwhelmed in a new environment full of new people. Before arriving, ask the host if there is anywhere your dog can relax if he seems agitated or anxious. Consider bringing a small bed or comfort item, like a blanket with your scent on it, to help your dog calm down if Thanksgiving is getting too intense for them. You can also bring a small, lightweight, portable crate for quiet time. You know your dog best. If your dog is an anxious type that is going to be in panic-mode the whole time they are in a new, loud environment, it may be best to leave your dog at home. It is understandable that you want your dog to be a part of your Thanksgiving celebration–after all, Thanksgiving is about spending time with those you love and care about! However, if you know your dog would be more comfortable taking a nap on your sofa until your return, leave your pup at home. 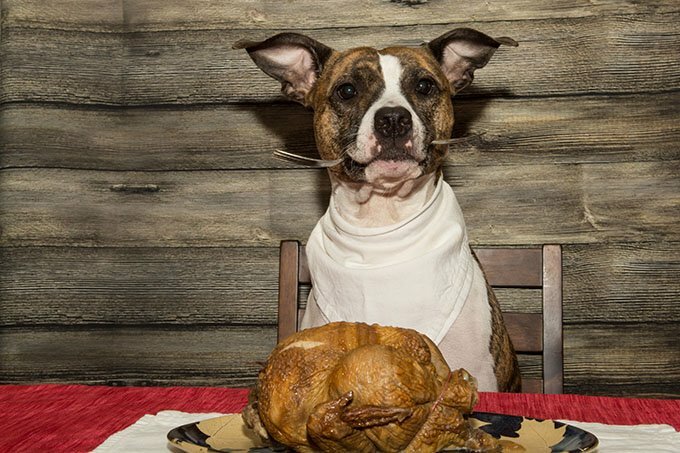 Have you ever brought your dog to a Thanksgiving dinner? Do you have any tips to keep your sanity while doing so? Let us know your Thanksgiving pup stories in the comments.